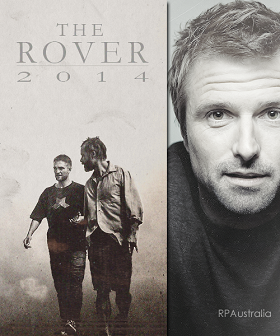 Australian director David Michôd’s second film, The Rover, is a bold take on the brutal realities of capitalism. Set in a future Australia that has suffered a devastating economic collapse, the film follows a man – previously a farmer – as he tries to get his car back from a gang of criminals. The man opportunistically teams up with the criminals’ abandoned brother and they travel across a Wild West-style Australia, encountering sickening poverty, brutal survival techniques and unimaginable cruelty. Michôd has gone out of his way to explain that the film is not about a mystical apocalyptic event but the tragic and horrifying potential of capitalism. Armed soldiers guard Chinese mining interests, the poor bicker amongst themselves and kill each other over small change, and the few innocent people the two men encounter – doctors and children – are brutalised collateral damage. The film is partly an enjoyable, Mad Max-style adventure, but at its heart is a grim warning to viewers about what can happen when profit rules supreme. Thank you to @jeremysaunders for the heads up.